Exposure to computer science at a young age can help students learn problem solving, critical thinking and perseverance. 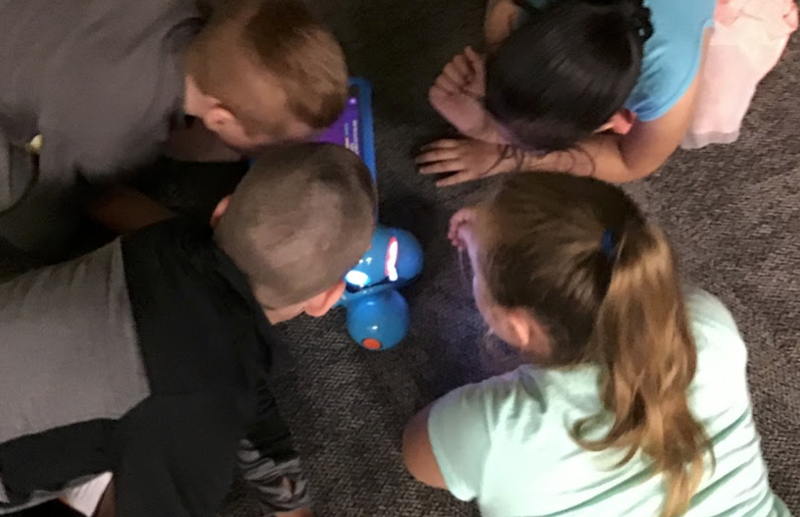 The goal of this project is to teach Geography standards through the use of Dash Robots because navigating a map is much like solving a coding puzzle. The students at Broken Ground School have met Dash! To see what adventures they are having during the project, follow the team blog. Explosions, lightning, heat waves, radioactivity, sparking lifesavers, snowflakes and high-speed strobes are a few of the exciting topics students will investigate in this course as they explore the wild and crazy world of science and photography. Explore the exciting interdisciplinary project that combines science and art at Merrimack High School. To learn more visit the team blog. A vision sometimes starts with questions. How do we incorporate STEM and inquiry, project-based learning with our youngest students? How do we incorporate a Makerspace with daily curriculum? And, how do we keep momentum, so STEM and inquiry opportunities continually grow and enrich students' learning? Students and staff at Reeds Ferry have embarked on creating a sustainable Little Hands Learning Lab that will allow elementary students to explore different areas of STEM and other inquiry based learning. To learn more about their project follow their Little Hands Learning Lab blog.